Navigational Menu. What? Yes, that is our topic for today, and even if you don’t know what a Navigational Menu is, don’t fret. I got your back. First things first: What is a navigational menu? Common parlance – nav bar. Navigational Bar. That thing above the header. Words. Menu. Got it? Okay, now moving on. There is no real recipe for a perfect navigational menu as websites come in a variety of shapes, sizes and designs – most importantly purpose. That is why I am not going to give you a “How To” article here, but rather I’ll give the principles and tools so you can create the best recipe for a navigational menu that will work for you. Your navigational menu is not the place for you to be cute. Like the medicine in your cabinet, it should be properly labeled. You only have a small number of words to work with here and each one of them has a goal to get the reader to the next page of your website. That means that each word should be clear enough on what the reader will find on the other side of the link. BUT that doesn’t mean you have to choose generic words. Consider your content. Can you find short, descriptive words that may relate to your menu? From an SEO perspective, these words will help search engines find your website. This is extremely important if you are to choose the non-generic-words for your menu. I know as a designer, it’s quite easy to assume that your audience knows what you’re talking about. Don’t take that for granted. Get a survey going and ask them if it’s understandable. SurveyMonkey is a great way to easily get feedback, and it’s free too. Don’t forget to ask for their email addresses so that you can ask them follow up questions when their feedback inspires more discussion points. If you have a small audience, don’t worry. Take it to Facebook and offer a poll. There are ways. Are you familiar with Hick’s Law? Hick-Hyman Law if you want to be more specific. No? Well, I’m gonna share with you a bit of psychology (with the help of my friend, Google). Hick’s law basically states that the time to make a decision increases when the number of options increase. For example: A group of kids were made to choose between 5 different flavoured ice creams (vanilla, chocolate, strawberry, pistachio and coffee crumble) then another group of kids were made to choose between 30 different flavoured ice creams. Guess what, the first group was 500% more likely to buy ice cream than the other group. Now consider that it only takes 15 seconds for a visitor to scan and decide whether she likes to stay in your website. 15 seconds is your golden opportunity, darling. Snag that. Present less options so that your customer can decide faster. Don’t waste time. Make your nav bar useful. 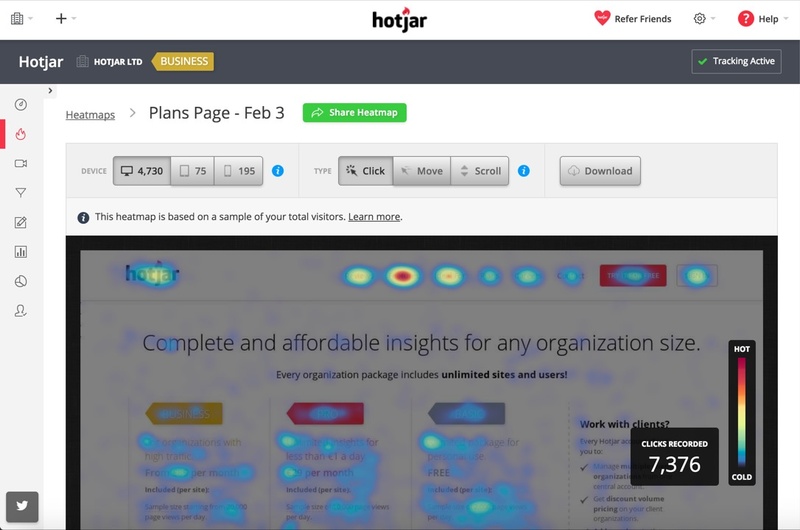 Heat mapping tools like Hot Jar work a dream. It determines which parts of your website get a lot of traffic so you can use that data to work for you. It gives you insight on what your readers like without you asking for it. HotJar’s basic plan is free so you can give it a go NOW. So, that’s it. It’s pretty simple isn’t it? Keep it simple. Be direct and useful and don’t waste your reader’s time. Keep authenticity in, but be sure to be clear.